If you have skype installed you can select the link below to call Lynda Roberts Cert Ed. SQHP (GHR). CNHC. Welcome to Hypnotherapy Southeast. My name is Lynda Roberts, and I run an established Hypnotherapy practice based in Ramsey, Essex, within easy reach of Colchester, Manningtree, Ipswich, Harwich and Clacton. I am an advanced hypnotherapy practitioner and published author, specialising in motivational weight loss, anxiety disorders and phobia release. If you are experiencing anxiety , panic attacks and/or stress, hypnosis can help you to overcome those feelings, and find inner peace as your confidence grows. I will teach you powerful self-hypnosis techniques to use in between sessions, so that your feelings of anxiety soon become a thing of the past. Think of anxiety and panic as a faulty car alarm going off when there's no reason - reset it and it stops! PHOBIAS may be dissolved in as little as one session! FEARS such as flying, dentist, driving, job interviews, speeches and more can be released in one session. Exclusive 6 week motivational weight loss and confidence building programme 'WEIGHT OFF YOUR PLATE' is available to you if you are someone who has had enough of dieting, or who eats for emotional reasons. Another very useful resource to help you move away from eating for comfort when you're anxious is my book WEIGHT OFF YOUR PLATE, available from Amazon. This book will give you a clear understanding of how your mind tricks you into reaching for unhealthy foods when you're feeling stressed, and how you can reverse that trick while dissolving anxiety. Discover new ways of dealing with those familiar triggers that send you to the fridge, and find a new confidence as your shape and weight changes to what you want it to be. Self-hypnosis, examples of tasty, healthy recipes and much, much more! At Hypnotherapy Southeast you will always be offered fast, effective help in a very supportive, confidential environment. Helping you become free of whatever has been holding you back is my top priority, so please feel free to contact me by e mail or 'phone with no obligation. Sessions are approximately an hour long. My aim is to help you to feel better about yourself and live the life you want to live ....I work with what you give me in session, so the therapy is not passive...it's both of us working together as a team to free your mind from whatever has been holding you back. Hypnotherapy is not a magic wand, but great results can be achieved when you really want to change more than anything else. It goes without saying that absolutely confidentiality is guaranteed, so you can relax in the knowledge that your privacy is paramount. You will have support and guidance on every step of your journey towards a better future, and I am happy to take an SOS call or text between sessions if you need reassurance. My experience enables me to offer you help whatever your problem. Often a combination of techniques can produce amazing positive changes in as little as one or two sessions. Some of the techniques used are content free, which means you do not have to tell me anything if you would rather not - the work is done in your own mind. In any event, your privacy is always respected. Whatever changes you want to make, together we can find a solution. Once you are free of any issues that have been troubling you, or even if you could do with distressing physically and mentally why not take advantage of our deeply relaxing additional therapies? Whatever therapy you choose, your session will start with deeply calming hypnosis - a unique approach that will ensure you leave feeling on top of the world! If you feel that now is the time for someone to listen to you, the first step is to contact me for an informal chat about what it is you want to change. Just doing that will feel empowering, I promise. I understand it can be a little bit nerve wracking making that first contact to seek help, but you will be glad you did! Don't forget, if you live some distance away from my practice, Skype or FaceTime can be used. I initially qualified as a Clinical Hypnotherapist back in 2007, having trained at the Essex Institute for Clinical Hypnosis and Psychotherapy, and now maintain a regular CPD (continuing professional development) programme to ensure I can offer the best service to my clients. My own training school ensures that future hypnotherapists work to the same high standard, giving the best possible care to clients. It's always reassuring to know that your chosen hypnotherapist has experience in many aspects of hypnosis and psychotherapy so here is an insight into my background! This is not to be self indulgent, only to let you know you are in safe hands! Working in the field of natural healthcare since 1996, offering a wide range of deeply relaxing therapies. 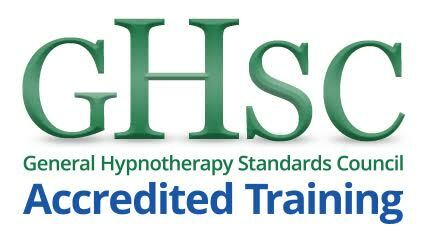 Annual GHSC accredited Hypnotherapy Diploma courses in Essex. Please see website for details. Specialising in Motivational Weight Loss, Anxiety and Phobia release. Whatever your problem, please don't hesitate to contact me to discuss your options - there's no obligation, and it could just be the first step to a better life. I have worked with many different aspects of human emotions, and offer a safe and relaxed environment for you to talk about your concerns with complete confidentiality. Weight Management: I have a proven record of helping clients dissolve emotional eating in a safe and healthy way. Ask about the 'WEIGHT OFF YOUR PLATE' weight loss and confidence building programme and book. Also qualified in nutrition, so included is valuable advice on healthy eating . 'WEIGHT OFF YOUR PLATE' book available now from Amazon. See above for more information. If you are serious about losing weight and keeping it off, please call me to arrange your initial screening session - you've nothing to lose but excess weight, and everything to gain, such as being slimmer and more confident !! Anxiety Disorders - each person's reason for feeling anxious is unique - there is a better, calmer way of dealing with whatever is worrying you. Sometimes there is no known reason, sometimes your feelings can seem overwhelming - talk to me, I may be able to help. Fast acting one session Quit Smoking programme with a high success rate among those clients who have made the positive decision to become natural non smokers . Phobias and Fears can be dissolved in as little as one session. Habits and Addictions can be released with the help of hypnotherapy. Essex Hypnotherapy Training. Has the thought of training as a Professional Hypnotherapist ever crossed your mind? Hold that thought and contact me ....thoughts come into our mind for a reason, and the annual Ten Month Professional Diploma in Hypnotherapy, accredited by The General Hypnotherapy Standards Council (held in Essex) could be just what you need to reach your true potential in a highly rewarding career - what could be better than helping others to live the life they deserve ......if you are a caring person and want to choose your own hours of work to suit your circumstances, you are reading this for a reason! 1-1 tuition available on request. Please visit website for details. Teaching Opportunities for Qualified Hypnotherapists - please e mail in confidence for details. Easy parking at practice address. Please see website for appointment hours.